All animals must be fully vaccinated with an up to date vaccination certificate. 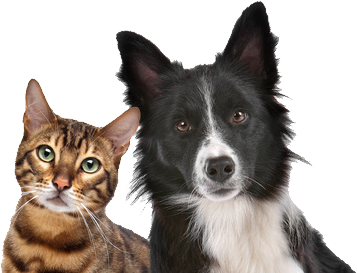 We ask that you bring your pet’s vaccination certificate with you on arrival. We cannot board pets without proof of full vaccination. Here at Woodhaven, we strongly recommend the kennel cough vaccine, but we do not insist on it. If you choose to have your dog vaccinated against kennel cough we ask that it is administered at least two weeks prior to arrival. If your pet requires veterinary attention during his/her stay, we will ensure that your pet receives this promptly. In most circumstances we will take your pet to the veterinary surgeon your pet is registered with but if this is not possible, or for emergency treatment we will take your pet to Holmefield Veterinary Clinic who have worked alongside us for many years and we trust to provide a high standard of care. If you need to cancel your pets stay here at Woodhaven, we ask that you provide us with as much notice as possible via telephone on 01977 685404. We ask that payment is made on collection of your pet. We accept cash or credit/debit cards. Unfortunately we are unable to accept cheques or foreign currency.